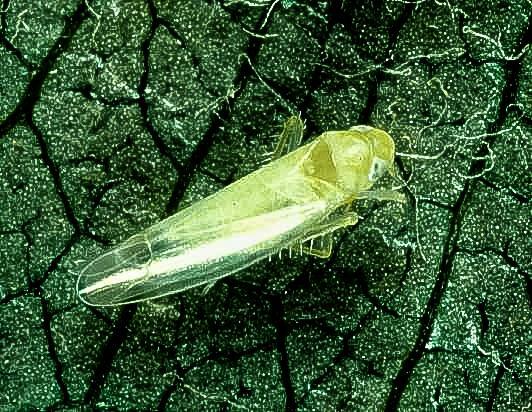 White apple leafhopper (Typhlocube pomaria; WALH) is native to the US and occurs on apple, peach, cherry, and hawthorn. Young WALH nymphs are tiny, whitish green, wingless, and are usually found on the underside of older leaves. They move forward and backward quickly (in contrast to potato leafhoppers, which move sideways). Adults are winged, greenish white, 1/3 inch (8mm) long, and appear wedge-shaped from above. They fly readily when disturbed. Eggs are about 1/25 inch (1mm) long, creamy-white, and cylindrical. White apple leafhopper adults and nymphs. WALH overwinter as eggs in the bark of 1- to 5-year-old wood. Eggs begin hatching at pink, and adults develop in June. They are active for several weeks, during which time they lay eggs in the petioles and veins of leaves. The eggs begin to hatch in June. WALH feed in the orchard until autumn and lay overwintering eggs in young wood during September and early October. WALH are leaf feeders and do not directly attack fruit. As sap is sucked from the leaves they become speckled with white spots. 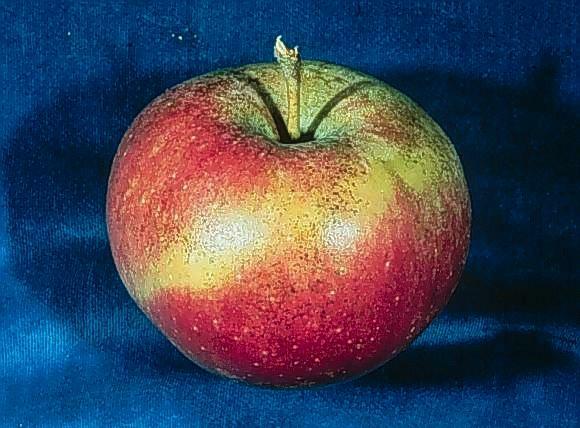 WALH may also diminish fruit quality by depositing small spots of excrement on apples. Leafhopper speckling damage on fruit. WALH nymphs should be monitored beginning at petal fall. Since immature WALH are considerably easier to control than mature WALH, controlling the first generation may keep the second generation from becoming significant. The first brood is also a better target because all their eggs hatch at about the same time. Using carbaryl as a fruit thinner often controls WALH. 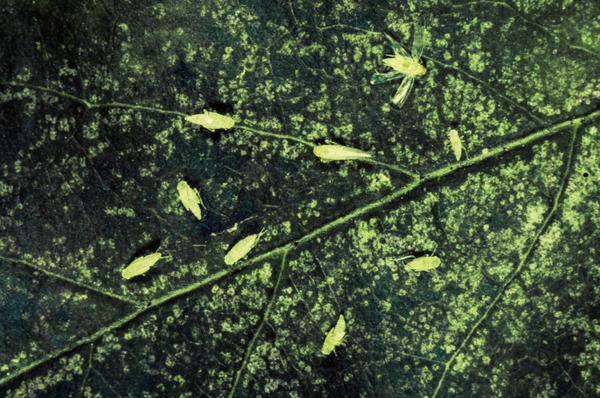 To monitor, count the total number of nymphs on the undersides of 10 leaves on each of 10 sample trees. First generation nymphs should be sampled from petal fall to second cover. Timing of the second generation ranges from mid to late July in North Carolina. 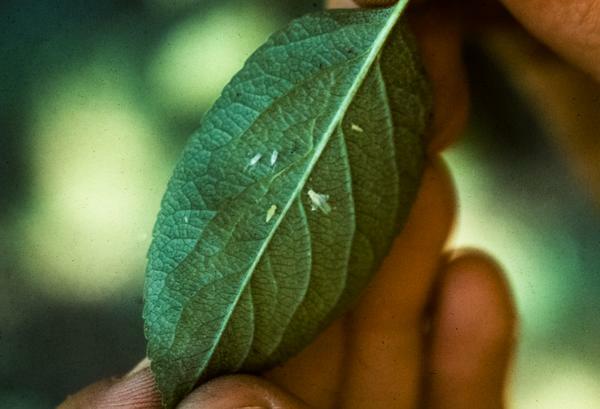 Insecticides should be sprayed when first-generation populations average 1⁄4 nymph per leaf, and again if second-generation populations reach 1 nymph per leaf. 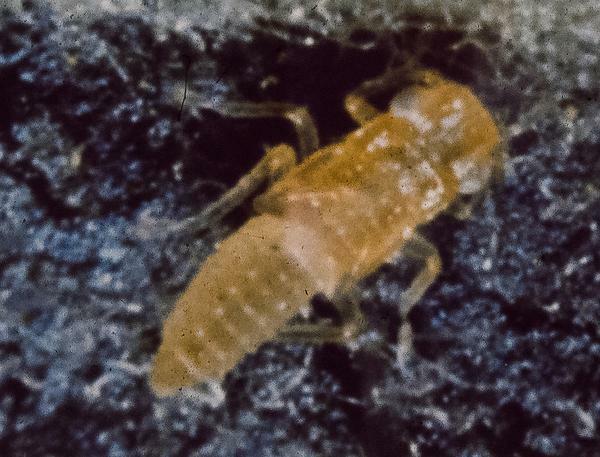 Controlling WALH with carbamates can destroy mite predators, leading to mite outbreaks. It is therefore better to spray early in the season before predator populations develop. Effective control of WALH requires good coverage of both the tops and bottoms of leaves. White apple leafhopper on apple leaf.